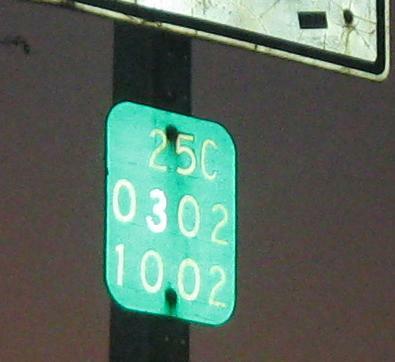 Button copy at the end of Jackie Robinson (Interboro) Pkwy. The first photo is on a shared gantry with the last one on the Interboro page (use the link in this caption). A rare old sign that isn't button copy, at a U-turn just beyond the Grand Central Pkwy. hookup. On the east side of Queens, Union Tpk. comes back to Grand Central Pkwy. eight exits later at 22. On into Nassau County, where the road was once state-maintained (it was likely always city-maintained in Queens) and the old reference markers remain. There are others, but these are the first two (the last one WB would be 1001). Union Tpk. ends at New Hyde Park Rd. in the last photo with a Hempstead-style pedestrian signal. 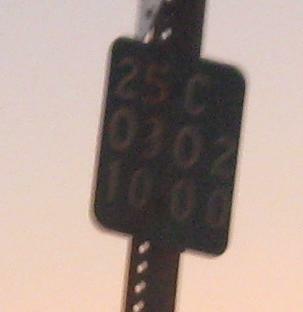 NY 25C continued on Marcus Ave.